This post contains press samples and affiliate links. All words and opinions are my own. Have you got a very-nearly four year old to buy a gift for soon? I’ve collected together a selection of toys and books that would be perfect for any little four year old boy, or girl! First up is a game that has been played almost daily since it arrived. Pallina Ocean Rescue is a fun and interactive game where the players have different game options depending on ability. 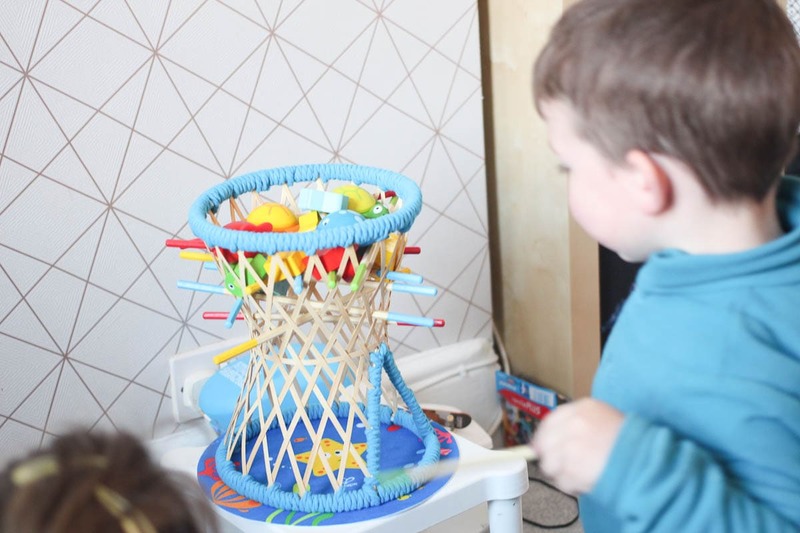 The idea is that you get the turtles and whales out of the net by pulling out the bamboo sticks – it’s like a non-plastic, environmentally conscious, educational version of Kerplunk! 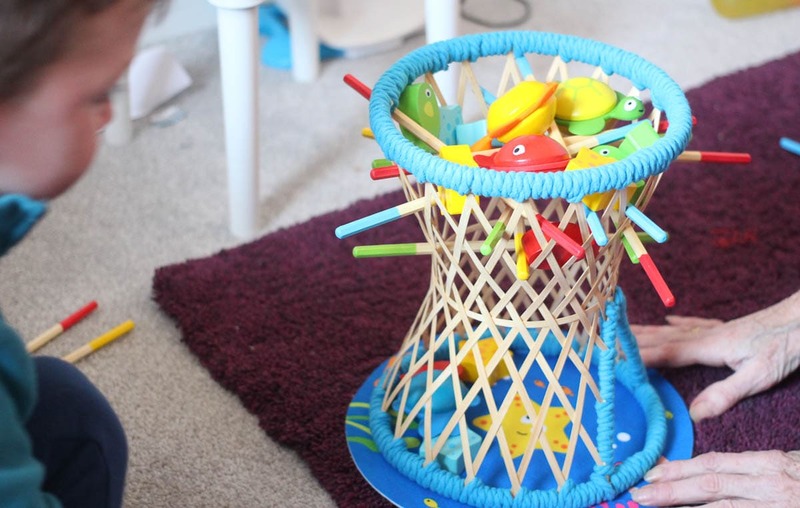 Arlo says: The fish are really colourful and you need to slowly pull the sticks to win the game! Another game that is fun and educational (but not about a topic you’d necessarily prioritise teaching!) is ‘Who did this Poo?‘ which is amazing fun and also slightly alarming! 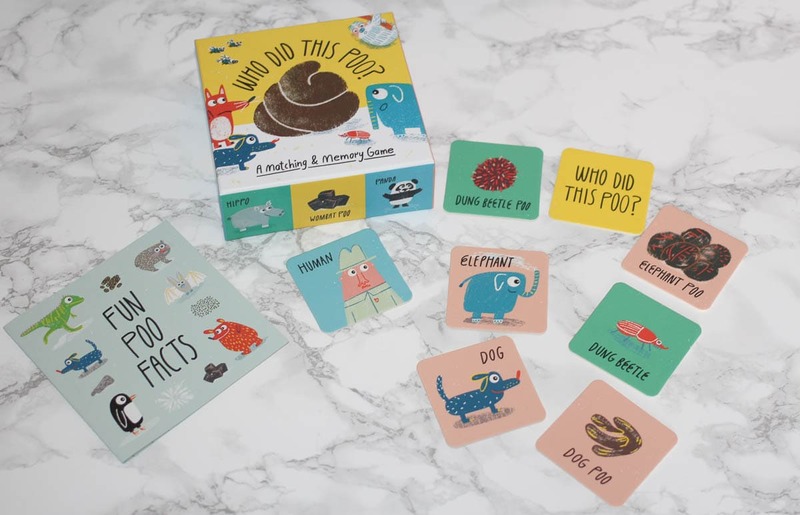 It’s a a memory and matching game, with 27 different species of animal and their poo for you to learn about! It includes a little booklet of ‘fun poo facts’ and as you can imagine is a big hit with my 4 and 5 year old! Arlo says: It’s about alllllll the different poops! Poo! HAHA!’ and Athena wants to take it in to show and tell at some point…! This game that has been great for getting the kids to think about their numbers. Counting Mountain, from Orchard Toys. As with all Orchard Toys it’s really well designed, easy to understand and education without being boring for kids! This one is maths-based and aimed at kids between 4 and 8. You can have up to 4 players and the aim of the game is to get your mountain climber to the top of the mountain first! Arlo says: I like the yetis and the numbers on them and I don’t like it when I didn’t win though! I’m all about activities that I can stick in my bag to keep the kids entertained in cafes and anywhere else where there might be a wait and Super Happy Families has been added to my ‘boredom’ aresnal! 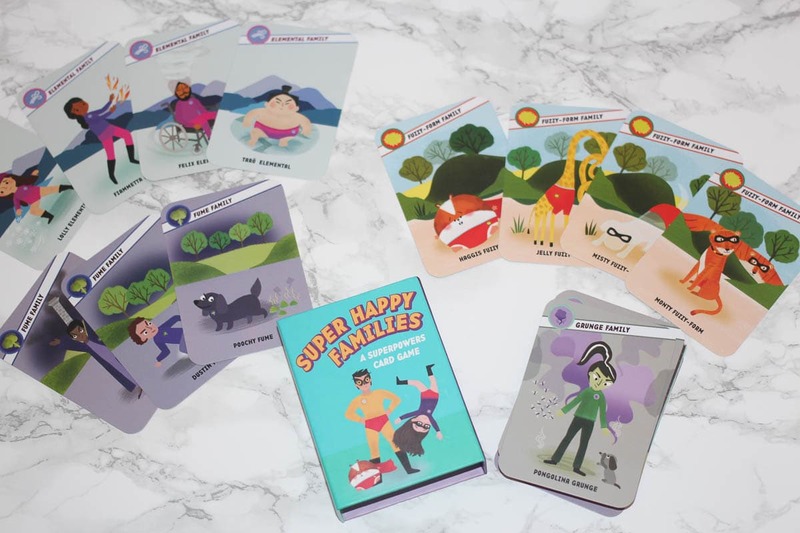 A ‘super’ take on the classic Happy Families this pack has 44 cards with some incredibly super powered families! Arlo is just starting to learn about patience and winning/losing so we’ve been having fun with this one! Arlo says: I like the fume family best! Every four year old I’ve met has a thirst for knowledge and Arlo is no different, he is always asking questions about things and although he can’t read yet we’re starting to build up a library of non-fiction books so that when he asks questions about various things we can learn more together. These top two books are about subjects Arlo is pretty keen on, Pirates & Sharks. Both are full of facts, pictures and stories and it’s so great to see Arlo flicking through books of his own accord! 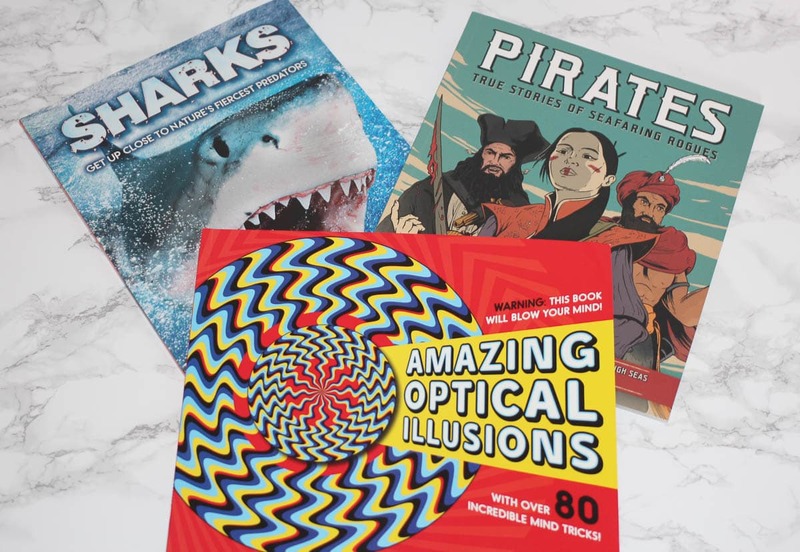 The Optical Illusions book is good fun for all the family actually, it’s packed full of fun little visual tricks and it’s really pretty clever! Arlo says: Sharks have so many teeth, like a lot a lot a hundred and more! Pirates are really cool, me-hearties! 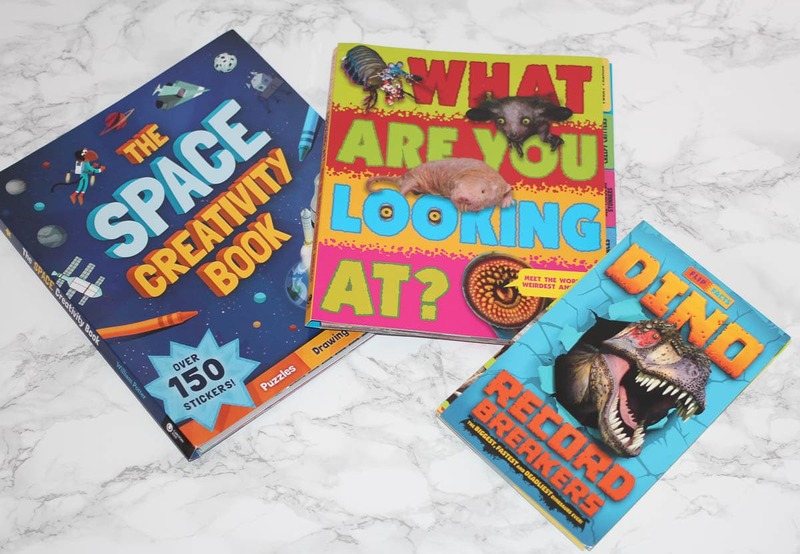 Still going with the fun non-fiction theme these three have been well received too – especially The Space Creativity Book – which is almost half done between Arlo with some help from his sister! With stickers, puzzles, drawing and so much more to do this is ideal for rainy days, car journeys and for any little space enthusiast! What Are You Looking At is full of amazing facts about weird and wonderful creatures, Do you know what a Tenrec is? No I didnt either! 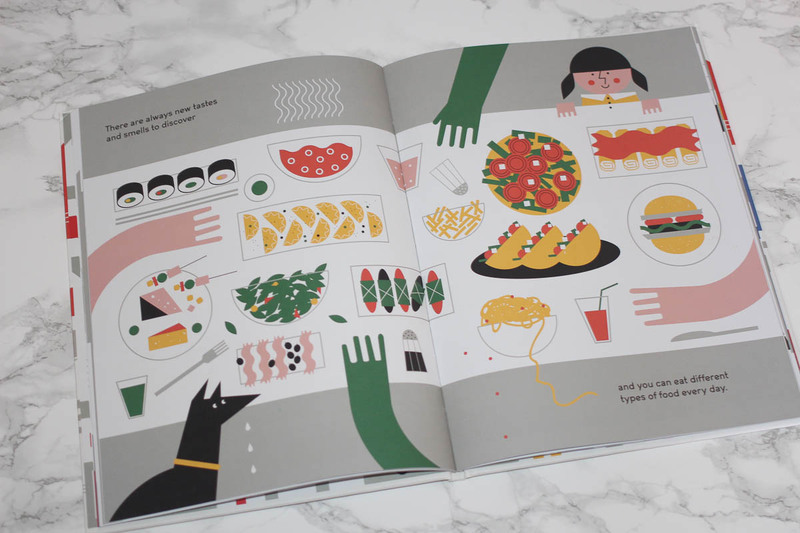 Dino Record Breakers is another fun but factual book, and Arlo and I both love that it’s a bit smaller so perfect for little hands and it’s come on quite a few car journeys with us recently because of that! Arlo says: I’ve learnt about new animals and put space stickers on my bed now! Next up are two items perfect for kids who are starting school soon, as most 4 year old’s will be. 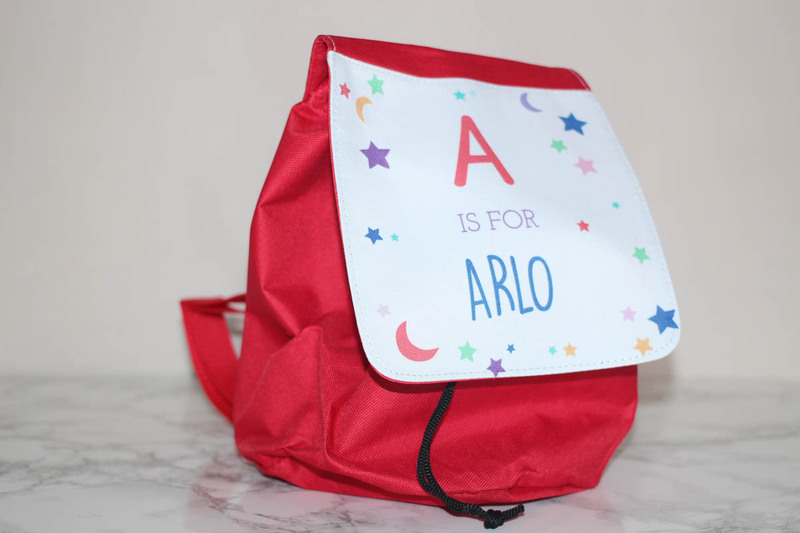 The little red rucksack can be personalised, and Arlo loved that it has his name on it! He can recognise his own name and ‘my letter’ but has no interest in writing it yet! It’s from GiftPup and I think it will be perfect for his PE Kit, as it is easily recognisable as his and has a drawstring to keep everything inside safe! 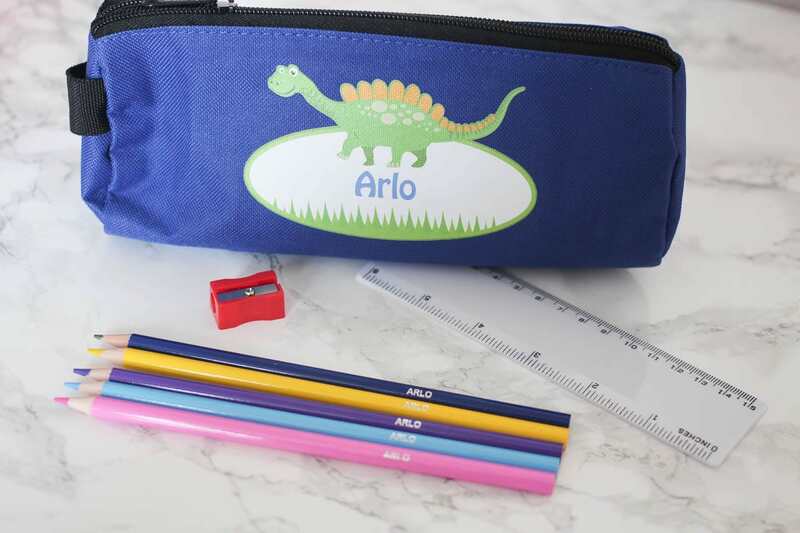 Arlo also has his own personalised pencil case and pencils, which he is guarding with his life! God forbid his sister try and borrow one! This cute personalised stationery set is from PrezzyBox and there a few designs to choose from. Arlo says: I’m taking these to school and showing everyone my name on them! As we spent Arlo’s birthday weekend in London ‘In The City‘ was a great book for him, though we actually gave it to him a few days before so we could start some chats about what we might see. 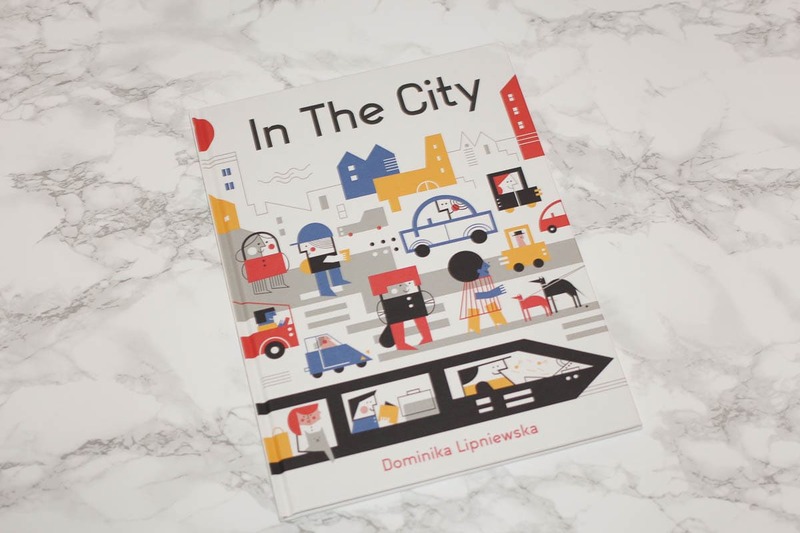 It’s a really lovely book illustrated by Dominika Lipniewska in a bright and bold graphic style, with each two page spread covering a different part of city life. It was great for starting conversations and for knowing what to expect in a big city! You can see a video teaser here. Arlo says: I liked the pages with the trains and things on and we went on an UNDERGROUND train. The food pictures are good too. Slime Baff & Gelli Sno. We’ve not used these yet as I’m saving them for a day in the Easter hols when the boredom really sets in but we’ve experienced a slime baff before, around two years ago hence why the kids look so diddy! These kits are so easy to use and provide hours of fun (if you let the kids stay in the bath that long!) 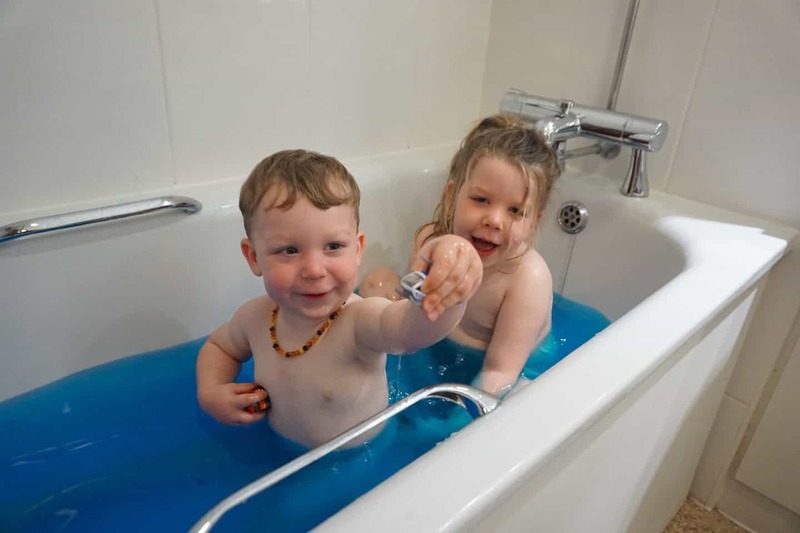 If you keep an eye out on my insta-stories i’m sure I’ll be sharing the kids enjoying they’re slimy, gelli-ish baths! Barf-Buddies are a gross as they sound! 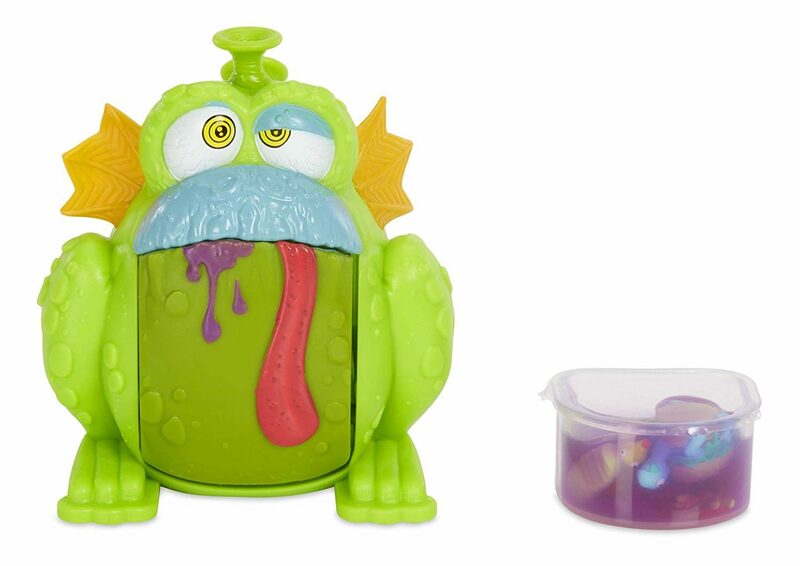 Little creatures that come with slime and other grim goodies, that they store in their mouths! Pull the tail to reveal the barf! Obviously a big hit with a four year old who loves anything gross! There are a few to collect, and I have to make sure this one doesn’t get sneaked into the bedroom as we’ll end up with slimy duvet covers! Definitely good fun though! Arlo says: The sick is gross and if you pull on the tail it is sick!! HAHAHA! 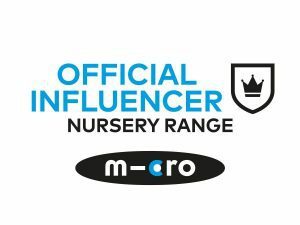 As a car-loving little boy I knew anything car related would go down well so the Teamsterz Micro Motorz were a huge hit, as expected! 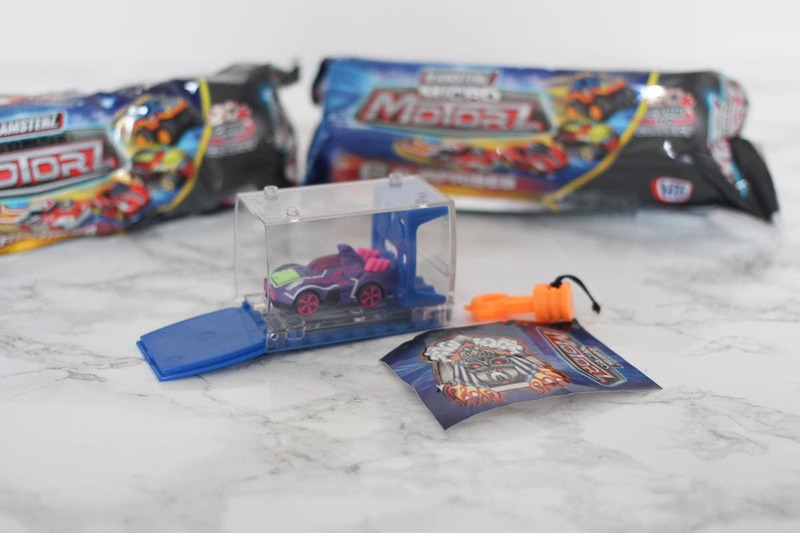 These collectable mini cars come in individual packets, and come with the car, a tuning key, a modification piece like a spoiler) as well as a display case and sticker. The display cases can be stacked together above or next to each other, and they double up as ways to shoot the cars out too! Arlo is very keen on these, and I’ve had to make doubly sure he doesn’t have one stashed in his pockets to take to preschool in case he loses on or gets annoyed when inevitably another kid wants to play with it! Arlo says: I can shoot the cars out so fast, and save them to look at in the boxes! Just this past week Arlo has been learning to ride his pedal-bike (slow progress but we’re getting there!) 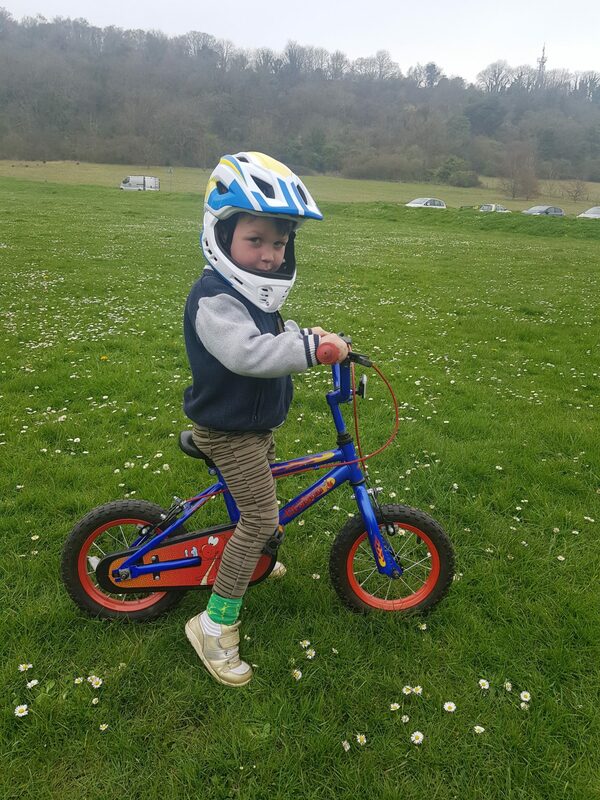 though he is super speedy on his balance bike already, and to keep his noggin safe and secure the Kiddimoto Ikon full face helmet! 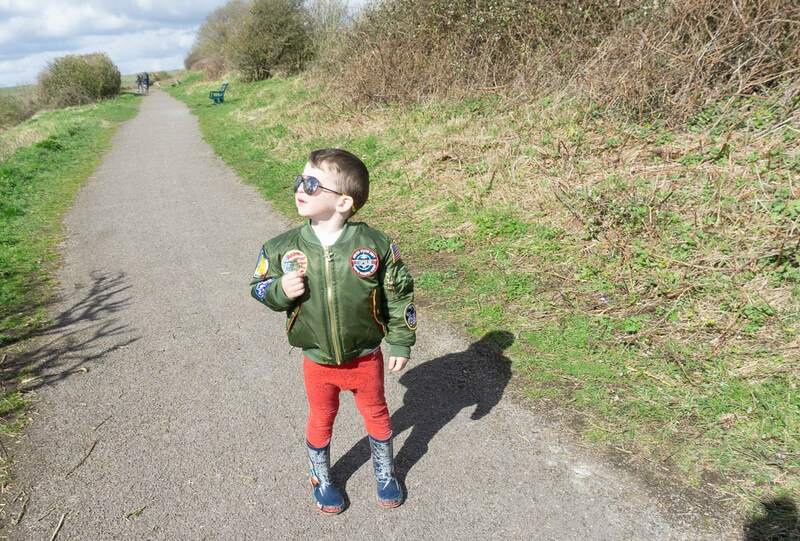 He ADORES it, and we get so many comments on it too at preschool (turns out there are a lot of little daredevils about!) The chin guard can be detached if you prefer, but Arlo definitely doesn’t. Also if you buy from kiddimoto directly you can get your helmet personalised! Arlo says: My new helmet is SO cool, and now when I fall off I’m okay! Finally Arlo is the (very!) proud owner of a Bomber Jacket that he is in LOVE with! It’s basically a mini version of a proper bomber jacket with added badges, 7 in total. It has numerous pockets and a classic bright orange lining. He also seems to be able to levitate in it judging by the picture I took of him! 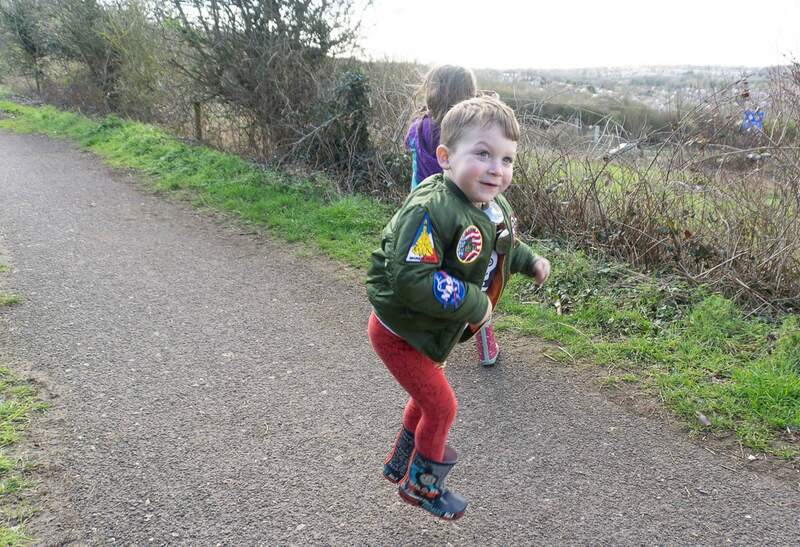 Arlo says: The zips are PLANES and it has a SPACE ROCKET badge too! So awesome! 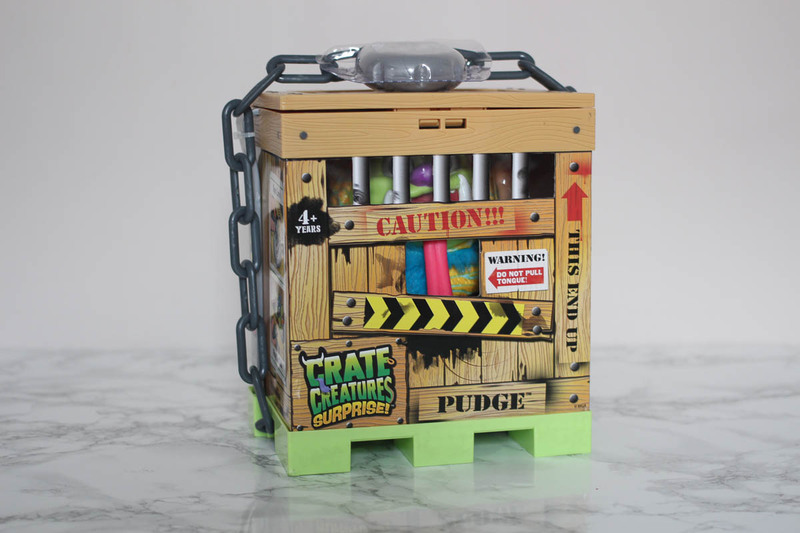 Lastly, if you want to get your hands on a Crate Creature, which are definitely a winner for kids from 3 and up then here’s your chance! You can view our review here, but they’re interactive little monsters that come locked into their own crates! Enter the giveaway below, a winner will be picked from all correct entries, ending on Sunday 28th April. See full T&Cs in the form. Previous Post Sunday Scrapbook – Getting back into the swing of things! Love the look of the super happy families game! So handy to keep the kids amused when out and about. The Ocean rescue game looks great. My youngest is obsessed with games at the moment. Love the personalised pencil case too, really cute. Not sure I’m brave enough for a slime bath though! The Ocean Rescue looks like a fun and interactive game. I think the Counting Mountain game looks fun as it is interactive and educational at the same time! My nephew would love this grate of goodies, Counting Mountain would mean he is learning without realising! The counting mountain game looks fun! We really like games in our house! Wow this is a great prize! So many fun and educational toys. The counting mountain looks fab! I like Pallina Ocean Rescue looks like a fun family game we could all play together! I love the Pallina Ocean Rescue – what a great sturdy game but also you can teach them how important it is to protect are sealife at the same time <3 LOVE THIS! I love barf-buddies.I think my grandson would love them. These all look like great toys, thanks for the ideas! The Ocean Rescue Game would appeal to my little Grandson, all fab ideas! Who did this poo? What’s not to love? The Counting Mountain game looks very good. Perfect for my son to learn from. I think my little one would love the Ocean Mountain game or the Who Did This Poo? game! I think it would have to be the ocean rescue game! Definitely the ‘who did this poo’ game. My god my boys would have hours of joy from that! 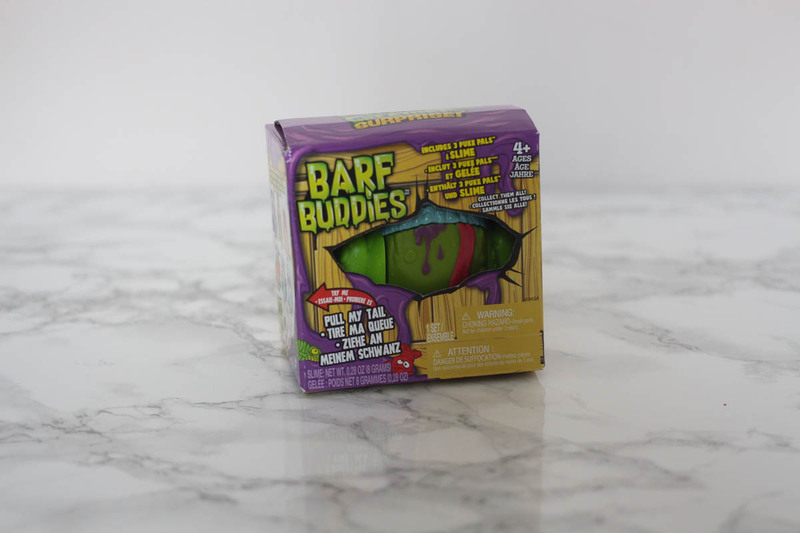 The Barf Buddies made me giggle – right up my son’s street! the Counting Mountain game looks lot’s of fun! 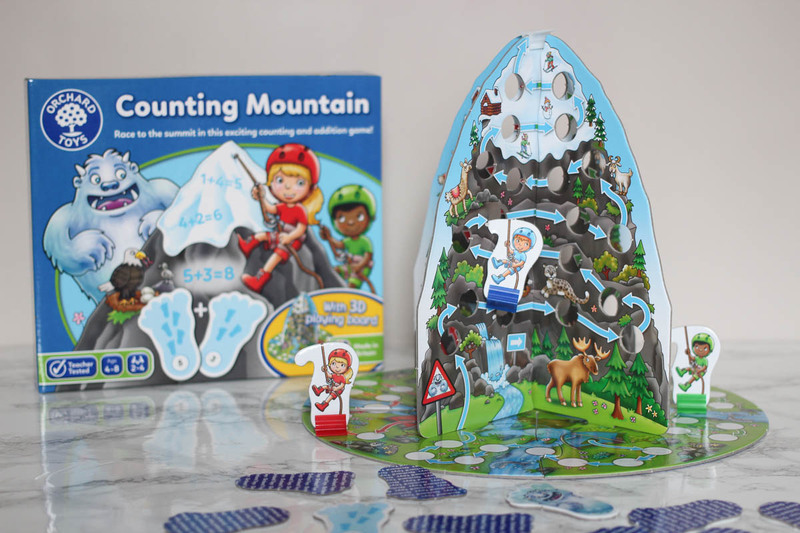 The counting Mountain game looks great fun to play with my grandchildren! The crate creature would make a great birthday present. Crate creatures remind me of Boggles, do you remember them? They were little gruesome creatures that lived in a crate a bit like this. I never had one but I really wanted one! The poo game looks like something my kids would go crazy for…..sigh…. Well ‘who did this poo’ would definitely be a hit with my kids! Definitely the crate creature. They look like lots of fun and would appeal to both of my children.